Pom Cake Design is an East Sussex-based bespoke wedding and occasion cake business, covering the whole of Sussex. 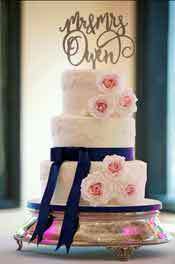 Pom Cake Design creates exceptional looking cakes that taste spectacular. 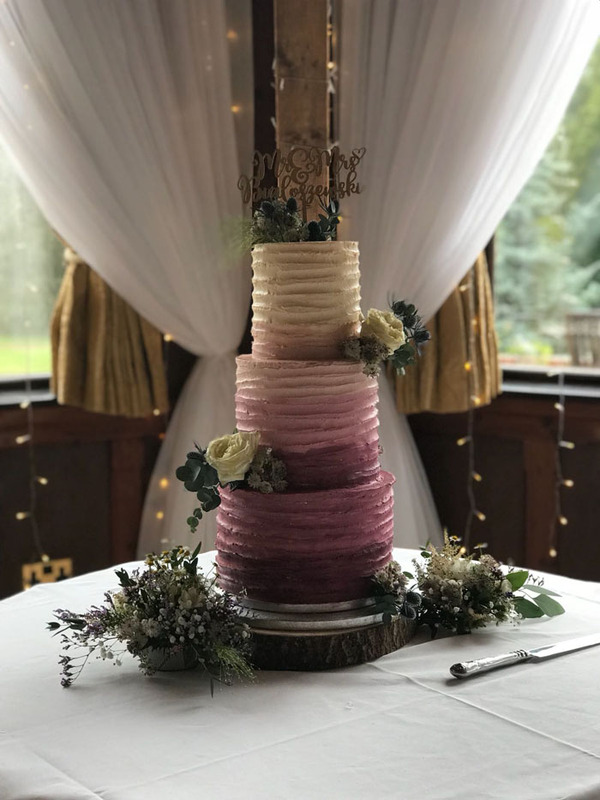 "With more than 25 years of experience as an artisan wedding cake designer, Ann’s Designer Cakes has played a huge role in the innovation and creation of unique and bespoke wedding cake flavours. "Choosing the perfect flavour of your wedding cake has become just as an important decision as deciding on the style and the finish of your cake. 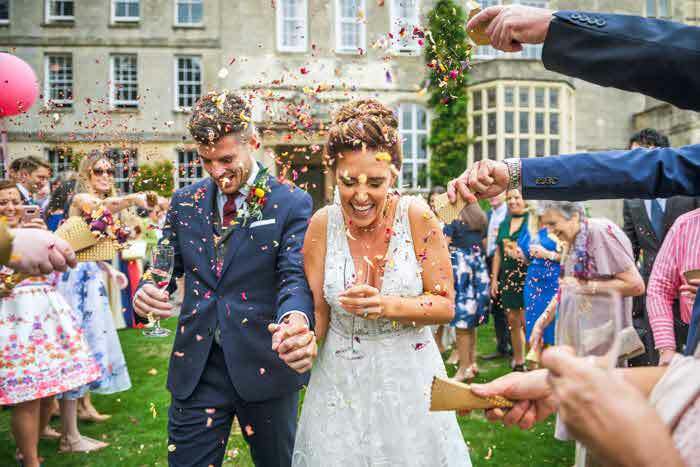 Our clients are now opting for more fun and exciting flavours to surprise their guests with, making the wedding cake a truly memorable part of their wedding day. 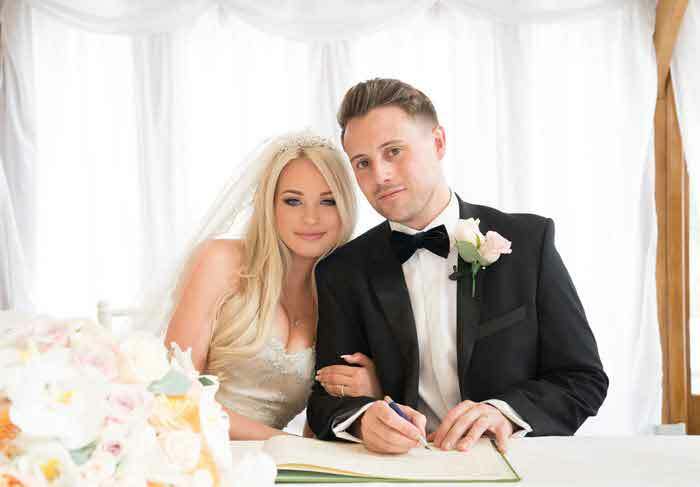 "I am passionate about cake and cake decorating and love planning a bespoke wedding cake for the happy couple. 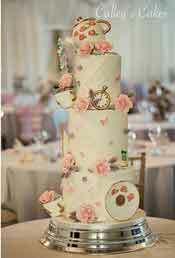 I work closely with them, providing tasters to ensure their perfect cake for the day. I find that most people like to have several different flavours on different tiers. My most popular flavours recently have been raspberry and white chocolate and lemon frosting with a delicious lemon tart curd, but my ultimate choice would be cherry bakewell frosting with either black cherry or strawberry jam. 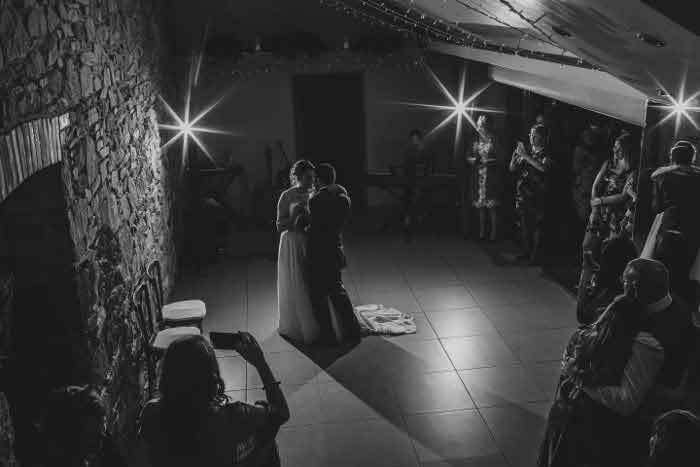 "I am based in Brockham, Surrey, am fully insured and have a five-star hygiene rating." "With all of the different cake flavours out there, it can be easy to overlook a classic: chocolate. A real crowd pleaser and when done well, a chocolate cake can be rich, decadent and more-ish. 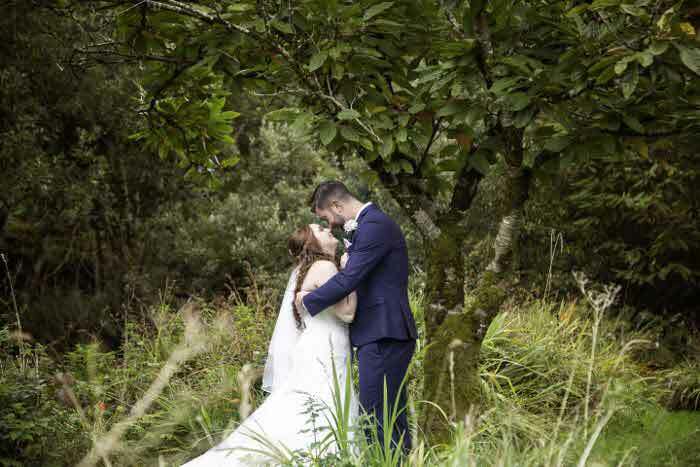 With that in mind, I developed a chocolate brownie recipe to die for; a must for brides who love their chocolate. Dark or white chocolate ganache works perfectly with this recipe but if you’re looking for something a little different to impress your guests, why not complement this chocolate cake with your favourite buttercream flavour: salted caramel, orange, fresh strawberry or raspberry, coffee, Baileys, the list goes on. 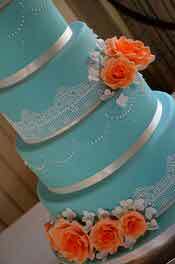 Many couples will choose different fillings in each tier of their cake. 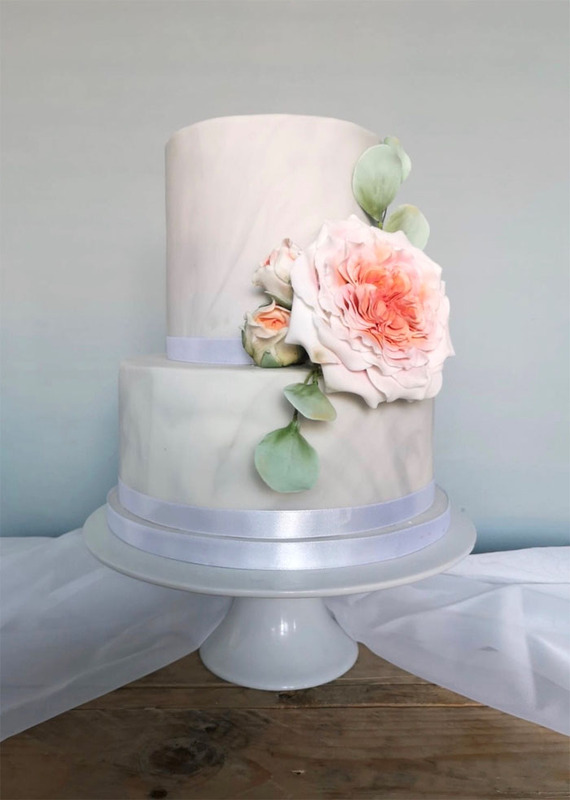 "If you decide to finish the cake in fondant, then the soft marble effect shown in the picture is a popular and fashionable choice at the moment and I love it. Tall tiers are in too. 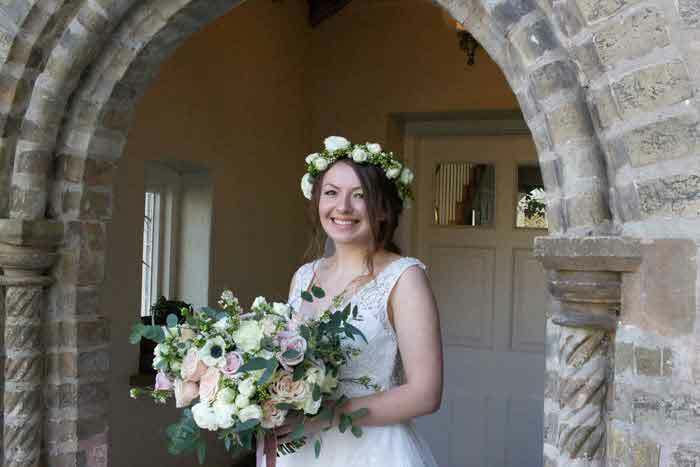 Pastel coloured sugar roses can complete the look you're after on your big day or choose sugar flowers to match your bouquet. "I am passionate about designing bespoke wedding cakes that are both delicious and beautiful. 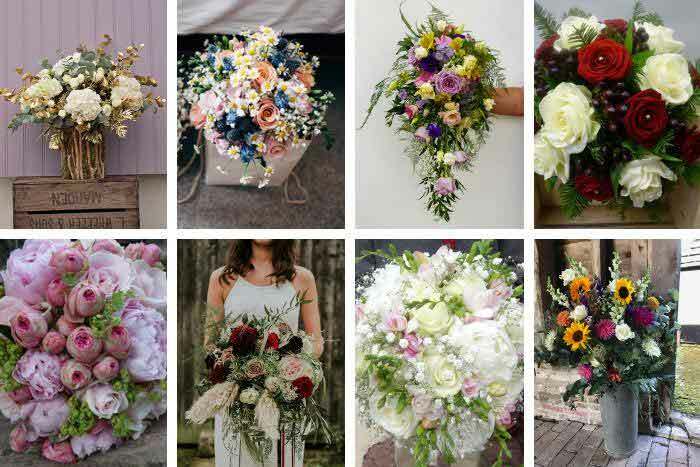 A real centrepiece on that special day." 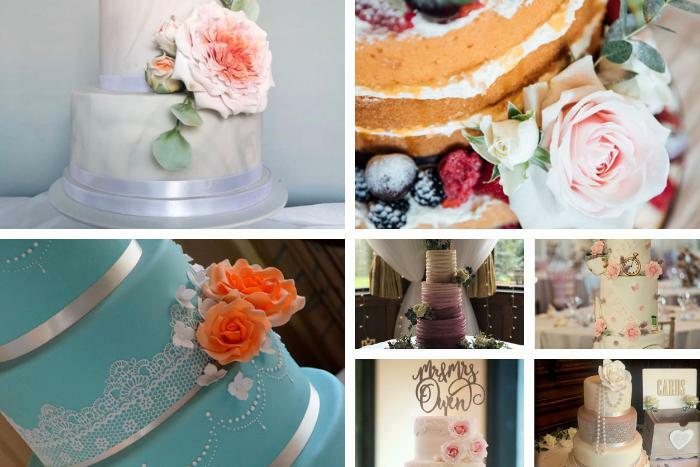 Clare’s Cake Boutique is based in Bolney, Haywards Heath and specialises in creating bespoke wedding cakes. 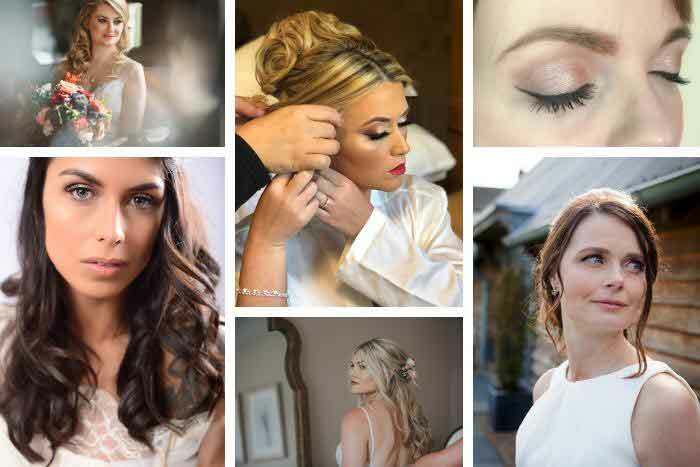 With an extensive range of flavours to choose from, Clare also prides herself on her eye for detail. 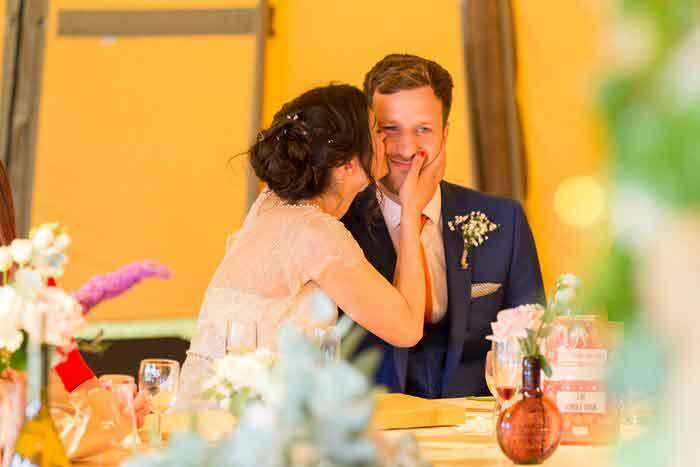 Each cake is individually designed with the couple's ideas and a tasting session means you can try lots of yummy flavours. 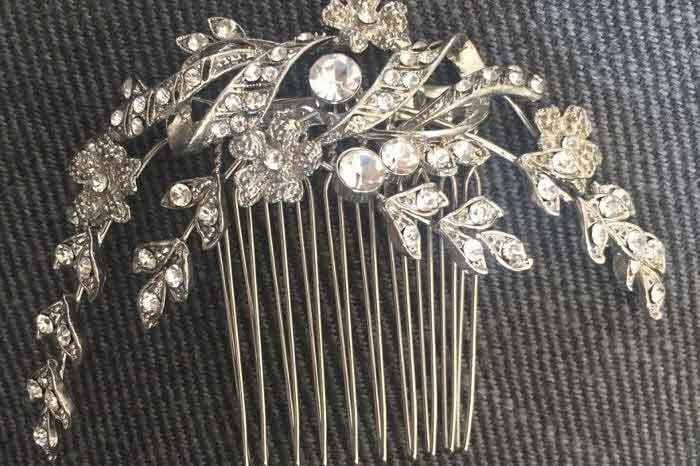 Run by two sisters, Val and Debbie, The Sovereign Cake Studio is based in the Old Town of Eastbourne. 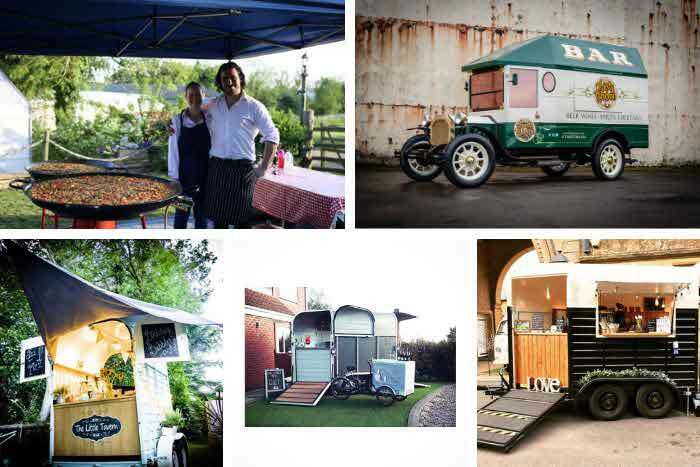 Established for six years, they now have a new open kitchen and showroom. 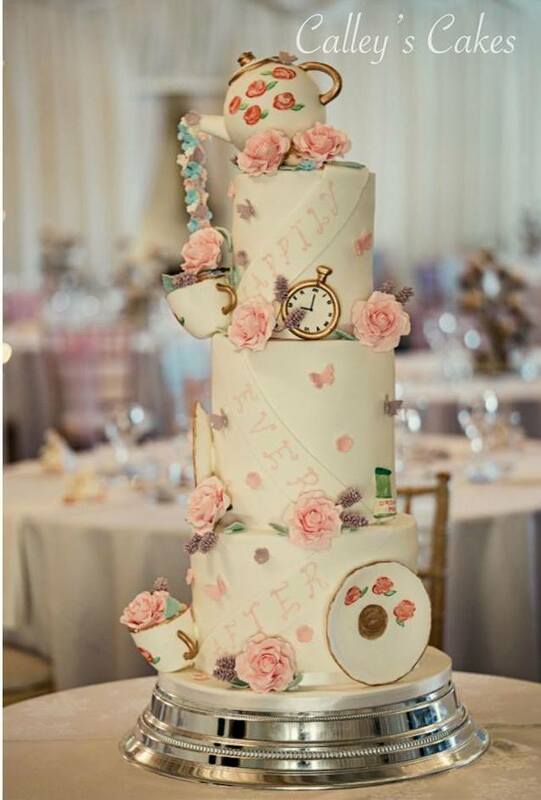 They are known for their flavoursome wedding and celebration cakes and biscuits, as well as a great attention to detail. 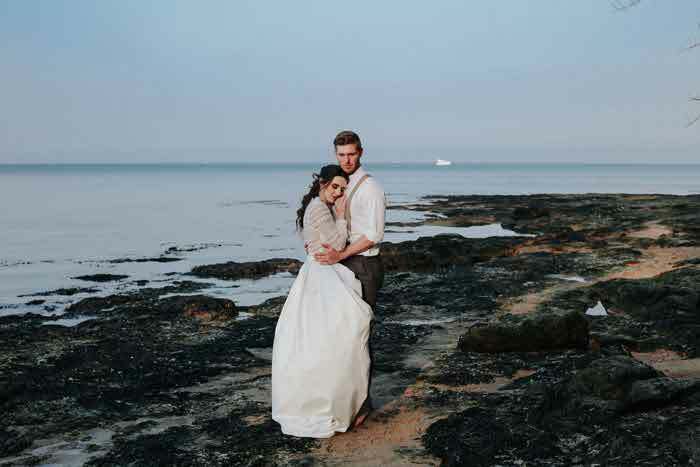 "We have an extensive flavours list on our website as we love to give our clients and their guests a choice of flavours for their wedding cake. 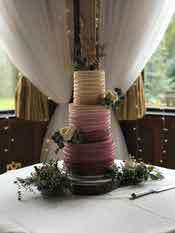 We always recommend to choose different flavours per tier to give you and your guests a choice on the day. One of our most popular flavours is white chocolate and raspberry. 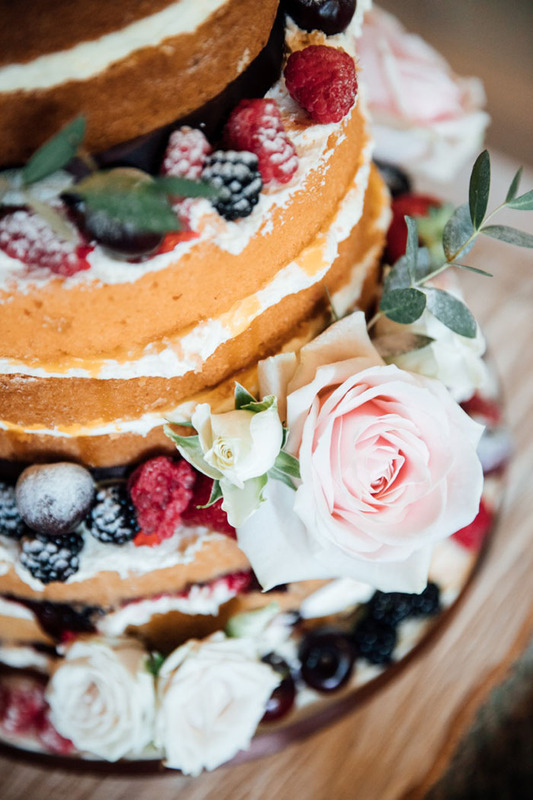 The raspberry pieces in our light sponge give our wedding cakes a beautifully moist cake full of flavour and, when combined with our creamy white chocolate buttercream filling, it's a deliciously sweet combination. 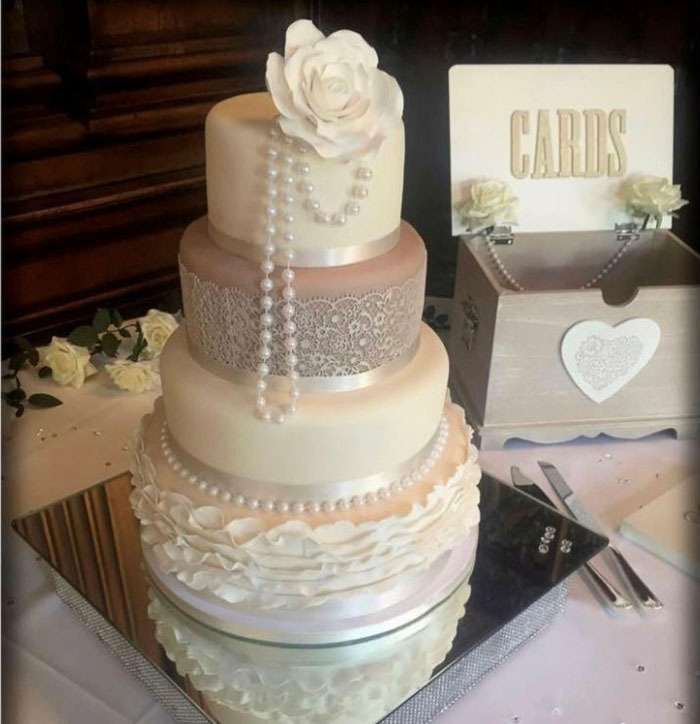 If you prefer, we can add a touch of richness to your cake with white chocolate ganache as a filling or outer coating to your wedding cake before decorating." 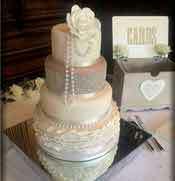 Calley's Cakes create and deliver luxury wedding cakes across Sussex and the surrounding areas. 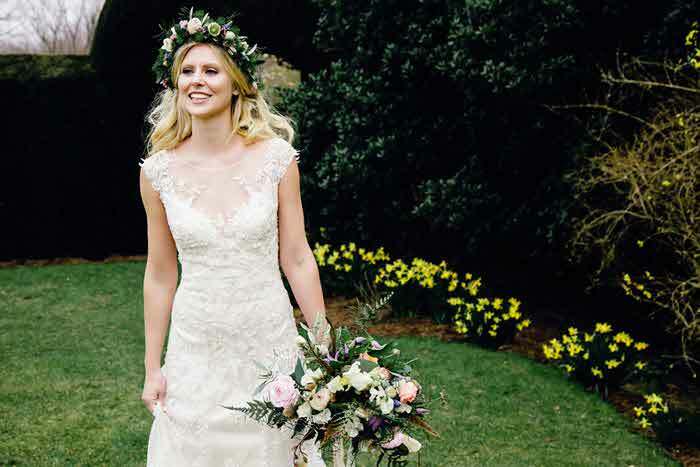 For more Surrey & Sussex wedding inspiration, pick up the latest edition of Surrey & Sussex Bride magazine.